Overview: EcoSouLife is an ecofriendly company, proudly producing products that are safer for safe for the planet. Their products are environmentally sustainable while maintaining accessible price points. 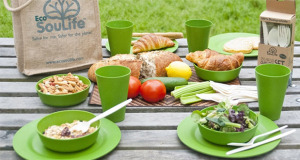 The EcoSouLife Camper Set is one of their best sellers and is perfect for all journeys and events. 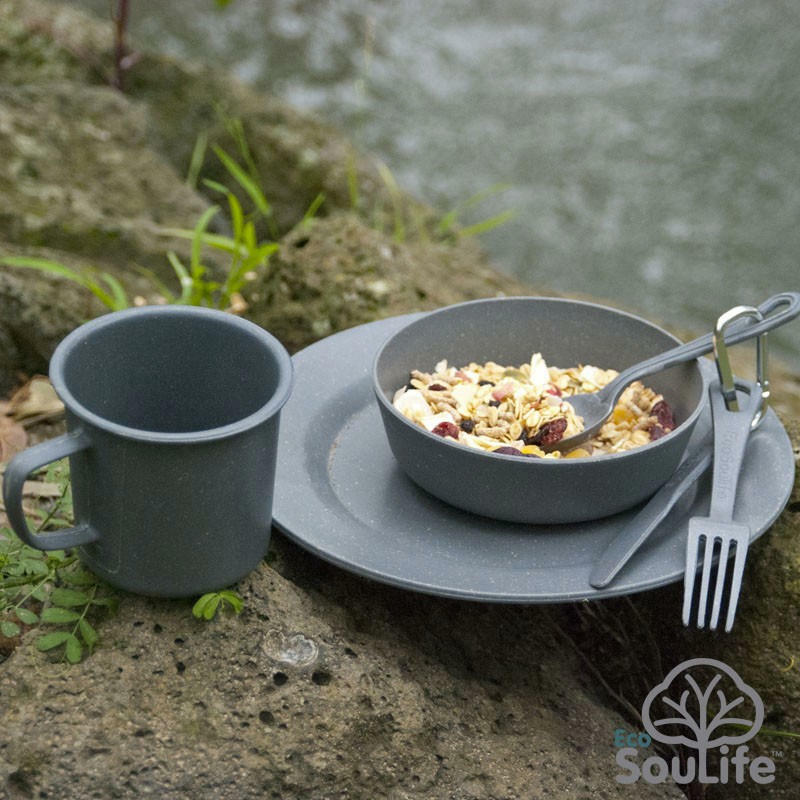 The Camper Set allows you to be ready to go for all mealtimes. one camper cup, one 3-piece cutlery set with carabineer, and an easy to wash & dry mesh bag. 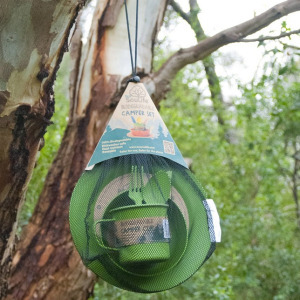 The eco camper set is made from vegetable waste matter of corn, starch, bamboo and rice husks. 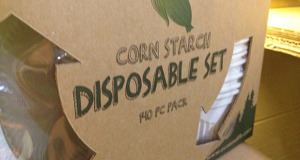 Being made with these materials makes the set biodegradable and once buried will degrade in 2-3 years. 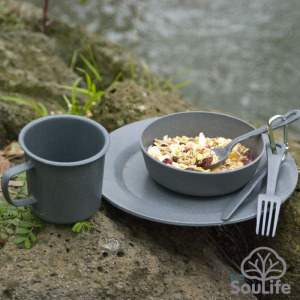 This popular set is easy to haul in a camp box, it is also dishwasher safe and BPA free.